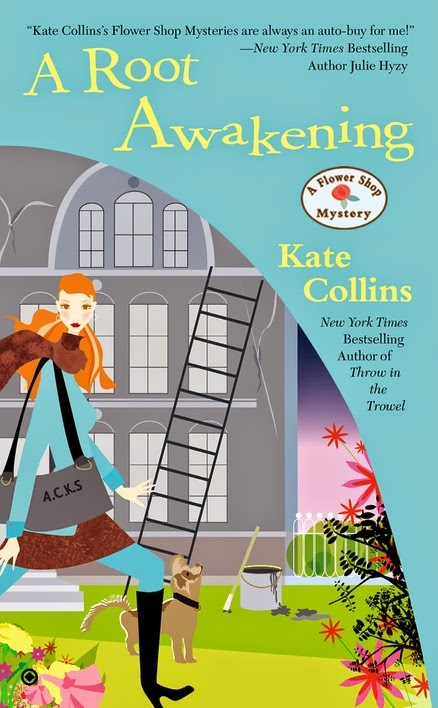 Fans of the Flower Shop Mystery series have heard me say how hard it is to come up with a new title for each book. Now I’ve got double – no, make that quintuple -- trouble. I need five new titles for FSM #17, which I’m working on now. I can’t give you the details without ruining one of the subplots, but I can tell you that all five winning titles will appear in the story and all of the winners’ names will be on the book’s acknowledgement page. Also the person whose title is chosen as The Best of the Worst will get an autographed copy of the book when it’s released November, 2015. 1. The title must combine two themes: floral and mystery. 2. The title has to be so bad it is groan-inducing. 3. It should be from three to eight words long. 5. You can enter more than once but you can only win for one of your titles. 6. The contest will close Saturday, November 15, 2014, at midnight CST, 1 a.m. EST. Okay, put those thinking caps on. Good luck, and may the worst title win! Whatever Happened to the Baby tea roses? "Death by Hyacinth Stake to the Carotid Artery"
"Ragged to Death by the Ragweed"
Please submit your entry using the link above in order for it to be counted. Thanks, Gram! Please use the link above to submit your entries. All titles will be culled from my website contest page. Thanks! It's a great one, Michelle. Could you submit it using the link above so it is registered on my contest page? OOH. I entered. I sent my 5 entries in one email. Hope that's ok. What a neat contest idea. Thanks so much for hosting!!! We've got them, Lindsay. Thanks for entering.